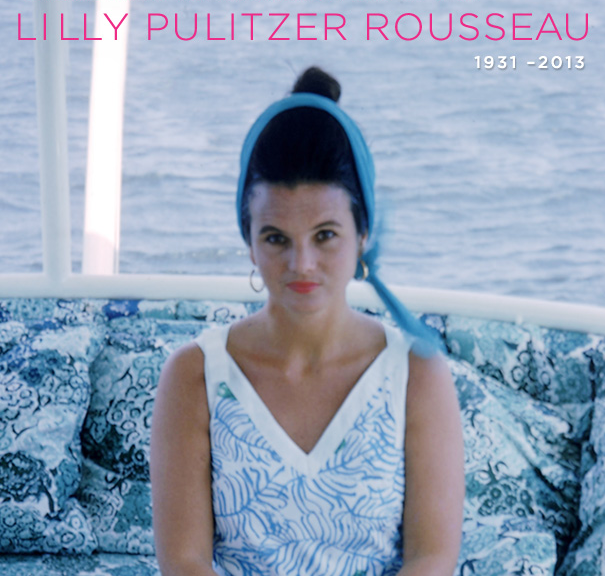 feel good time: lilly pulitzer rousseau : lets hear it for the girl. lilly pulitzer rousseau : lets hear it for the girl. 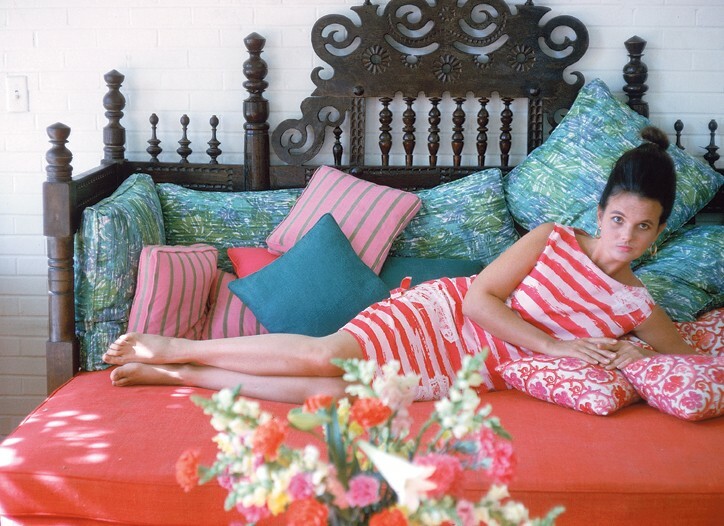 This is one of my favorite photographs of the iconic fashion designer Lilly Pulitzer Rousseau, who passed away at the age of 81 yesterday in the place she loved most, her home in Palm Beach, Florida. I love Lilly's clothing with the playful color pallets that come from her inspirations of her favorite things be tennis rackets to oranges and lemons! I love how Lilly got her start, through her classmate Jacqueline Kennedy, yes, Jackie O'. Lilly has constructed a summer dress that was made from curtains in a kitchen for Jackie and she was photographed wearing it and people went crazy, swooning over the dress wanting more. And so she gave more, and that's how she got her start in the business of dress. Don't you love that? Her husband Peter owned citrus groves in Palm Beach, Florida where Lilly began to sell orange juice at her juice stand. She designed her own colorful shift dresses for her to work in and soon enough, people weren't just buying her orange juice, but they were paying extra for Lilly to design them colorful shift dresses for them as well! I adore where Lilly gets her inspirations from for her designs. In many ways, her inspirations are very similar to mine. It also helps that Lilly is one of those iconic people who I adore in one of my favorite places ever, Palm Beach, Florida. She lived the sort of life that my favorite photographer, Slim Aarons would photograph (not to mention, I am pretty sure he took this photo of Lilly, shown above.) She loved the orange citrus trees in Palm Beach and all of the beautiful colors and botanicals that Florida has to offer and she transformed them into clothing. There is nothing more beautiful than that. Because I always feel that other people can put it into words better than I can, I want to quote this small description of Lilly and all of her photographs that Slim Aarons loved to take of her and her fashion muses. "no one lived the Lilly Pulitzer lifestyle more than the designer herself. born into wealth, prep-school-educated, and married to the grandson of publisher Joseph Pulitzer, Lilly simply dressed the people she knew - waspy, Palm Beach - dwelling socialites who used summer and lunch as verbs. 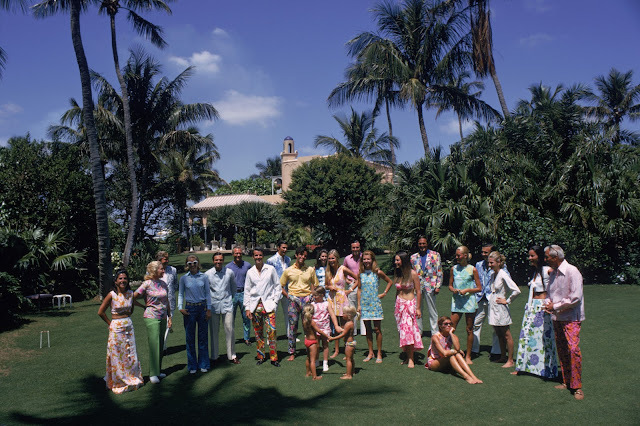 her preppy social set and their affinity for flamingo pink attracted the eye of photographer Slim Aarons, who photographed Lilly and her family for decades. 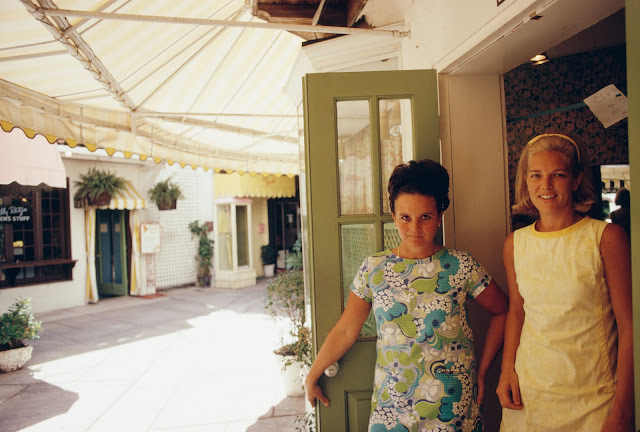 Enjoy his images as well as other vintage shots of Jacqueline Bisset, Wendy Vanderbilt, and Cheryl Tiegs in colorful Lilly prints through the years." To end this post of the celebrated Lilly Pulitzer are a list of her most well known quotes. She is truly Iconic and will be missed, celebrated and remembered. One of my favorite ladies. ever. "i was a gypsy, living a carefree life of ponies and tennis." "style isn't just about what you wear, it's about how you live." "i designed collections around whatever struck my fancy... fruits, vegetables, politics, or peacocks!" "i didn't set out to be unusual or different. i just wanted to do things my way." "that's what life is all about: let's have a party. let's have it tonight." "jackie [kennedy] wore one of my dresses - it was made from kitchen curtain material - and people went crazy." i deserve a gold trophy. aperture this, and aperture that. it's time for the liebster award. because music can move you. i might cut my ear off like van gogh.